Since the 1960’s, Soviet experts in the field of hydrocarbons knew that the countries of central, eastern, and southeastern Europe have not only very few energy resources. Complex exploration by the Soviets revealed huge reserves of gas and oil in the Arctic, located in the Barents Sea. About 70% of oil and 90% of its gas from Russia's territorial waters found in areas where the sea depth does not exceed 500m are available for drilling and extraction. Therefore, the Soviet Union decided to provide Russian gas to the European retail market for the next century. During the Cold War, the Soviet Union built a network of pipelines called Druzhba to ensure continuity of supply throughout Europe. The Druzhba pipeline route was designed by Soviet military strategy to overlap three of the four strategic directions of Military Action Theatre (TAM) Central - Eastern European (Baltic, Belorussian and Ukrainian). Military science frequently operates with notions of a theater of military action (TAM), objectives and strategic directions, operative directions, strategic alignments etc. A theatre of military action represents a geographic area the size of a part of a continent where belligerent and military powers claim to be carrying out their military operations themselves. The strategic objectives are economic-political regions of vital importance (complex economic, energy transport networks, etc.). Conquering strategic objectives or ensuring control over them automatically leads to a change in a TAM’s strength. Strategic Directions are some imaginary strips of land, wide and deep within TAM, where military operations are conducted. They are based on a system of developed terrestrial communications, which necessarily converge on a strategic objective. Operative Directions are portions of the strategic directions that enable ploys to envelope the inaccessible. Land Strategic alignments are defined by major geographic features (mountain ranges, courses of rivers, the seashore, etc.) and mark the beginning or end of a stage of strategic operation. Conquest, maintaining or losing a strategic alignment influences decisively strategic goals. To the north, the boundary of Central-Eastern European TAM are the Baltic Sea and the city of St. Petersburg (Russia), on the south coast of the Greek Aegean Sea, Turkish coast of the Black Sea, Caucasus ,and the Caspian Sea. In the West it includes the alignment Hamburg-Stuttgart (Germany), Innsbruck (Austria)-Zagreb (Croatia), Sarajevo (Bosnia), and Thesalonic (Greece). The main strategic directions of the TAM are: Baltic, Belarusian, Ukrainian, and Balkan. Baltic strategic direction starts from the plains of northern European Russia and ends at the Baltic Sea coast - the territory of Estonia, Latvia, and Lithuania. The feature of the terrain in this strategic direction is flat. Under Operation Barbarossa, the invasion of the USSR in June 1941 on Baltic strategic direction, the offensive of the German Army Group North was conducted with the city of St. Petersburg as the strategic objective. Belarusian strategic direction originates at the European region of Russia, crosses the territory of Belarus and Poland, and stops in Berlin. The strategic objective of this line is Moscow. Neither in this direction are landforms unproblematic in achieving maneuvers of forces and means. In the frames of Operation Barbarossa, the Belarusian strategic direction was taken by the German Army Center Group concentrated in Poland, with the strategic goal to conquer Moscow. The Ukrainian strategic direction started from the city of Volgograd (former Stalingrad), follows eastern and southern Ukraine, reaches Bratislava (Slovakia), and then stops at Vienna and Munich. A feature of this line is that, because of the Carpathians, Tatra, and Metaliferi Mountains it narrows and becomes tortuous. The Barbarossa Plan allocated Ukrainian a strategic direction for the South Army Group, composed of Germans, Italians, Hungarians, and Romanians. Along with the principal one, Army Subgroup A led the offensive with the strategic objective of the seizure of the Grozny-Baku oil area. The Balkan strategic direction is a bridge to the Asian and African continents. Unlike other strategic directions, the Balkans is part of an inaccessible terrain, so it is composed of two joints in the forms of narrow strips called operational directions. The Turkish operative direction starts from Istanbul, where you switch to the Asian continent, through the Bosphorus and Dardanelles. At Burgas, there are two variants. The first version crosses the Southern Carpathians of Romania reaches Belgrade-Pancevo through Mures gate or Budapest through Somes gates. The second variant changes its direction by 90 degrees in Bulgaria, becoming a parallel chain, which bypasses the Balkan mountains and Romania. This variant arrives in Serbia in Nis, Belgrade and Pancevo, and from there to Vienna. The Greek operative direction has its origins in Greek port Thesalonic, where during World War I, on October 5, 1915, the English and French military contingent landed, opening a new front in the Balkans. From Thesalonic, the Greek operational direction follows the Vardar river to Skopje (Macedonia), where it changes course towards Serbia, Morava River to Nis, where we join the Turkish operative direction. In the 2nd World War, Germans, Italians, and Hungarians successfully completed the offensive operation from the 6th to 23th April 1941, which resulted in the occupation of Yugoslavia and Greece. The striking force was concentrated in Austria and the main thrust of the offensive was superimposed on the Greek operational direction. In Soviet times. The Russian arctic gas fueled Finland and the Baltic countries located in the Baltic strategic direction. The second branch of the Druzhba pipeline supplied Belarus, Poland, and East Germany, located on the Belarusian strategic direction. The third branch of the Druzhba pipeline supplied Czechoslovakia, Austria, Hungary, and Ukraine, located on Ukrainian strategic direction. Also, this third branch supplied Romania, Yugoslavia, Bulgaria, and Greece. From autumn 2012, a new gas pipeline, Nord Stream, transported gas from Russia to Germany under the Baltic Sea, bypassing Poland and the Baltic countries. This pipeline also feeds France. 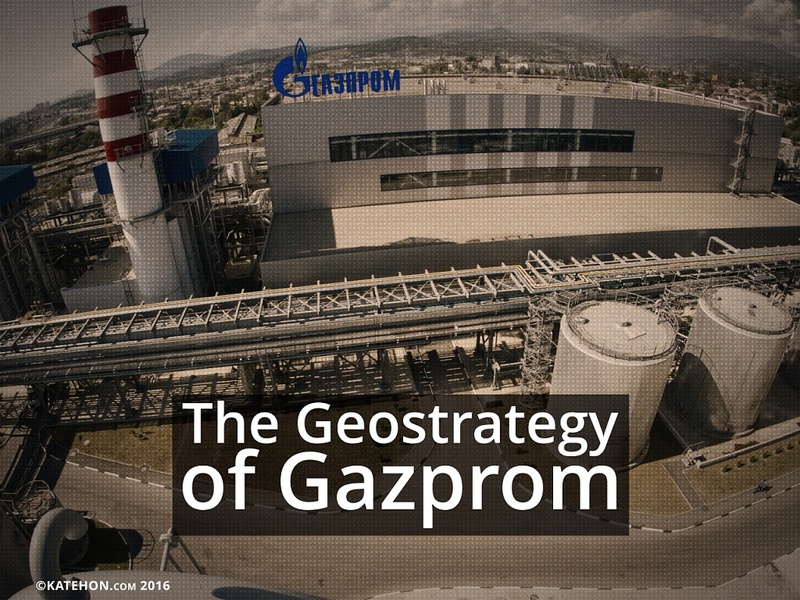 Because Ukraine does not pay for consumed gas, Gazprom wanted to bypass Ukraine without losing the consumers of the Ukrainian strategic direction. What concers Balkan strategic direction. In 2005, the Blue Stream pipeline, which supplies Turkey under the Black Sea, was placed into service by Gazprom. A second pipeline of Gazprom for Turkey, called Turkish Stream, was abandoned because a Russian Su-24 bomber was shot down in Syria by Turkish aviation. Another solution of Gazprom for Europe would be the South Stream pipeline, which would start from the port of Anapa on the Russian shore of the Black Sea, and would cross the Black Sea to Bulgaria, Varna. From here, the pipeline would follow a version of the Turkish operative direction, bypassing Romania, in turn fueling Serbia, Hungary, Austria, Slovenia, Slovakia, and Italy. Also, Gazprom is considering building connecting sections for Croatia, Macedonia, and Bosnia-Herzegovina. Is anybody at the driving wheel in Brussels? EU’s politization of energy only hurts itself.